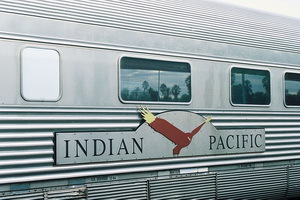 The Indian Pacific had its inaugral run on 23rd February 1970 when the first through passenger service operated between Sydney and Perth. The standard gauge connection had actually been completed by 12th January 1970. The carriages were owned by the Commonwealth, but were considered Joint Stock for maintainance costings. Passengers for Adelaide initially had to change trains at Port Pirie until the service was re-rerouted. 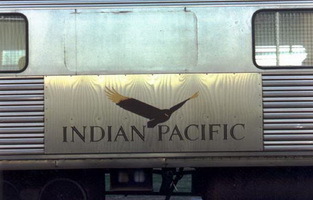 The first Indian Pacific into Keswick Passenger terminal was on 17th August 1986. The Intercapital Daylight service ran daily between Melbourne and Sydney on the standard gauge line. Intermodal is the term used to describe freight traffic involving transfer of containers to and from road and rail vehicles. Sometimes referred to as container traffic. The Iron Triangle Limited service ran by Australian National between Adelaide, Port Pirie, Port Augusta and Whyalla on standard gauge using Budd Railcars. The service began on 2nd April 1986 as a special run, with regular working from 21st April 1986. It finished 31st December 1990.